Pulsatile Tinnitus - Recognise the Symptoms And Learn How To Manage! Tinnitus is a condition in which an individual hears sound ( e.g. buzzing, ringing, whistling and clicking sounds) in the absence of external sound. It’s a symptom, rather than a disease in itself.The loudness and pitch of this sound can vary across individuals. The sound may be constantly present or it might disappear and return. Pulsatile tinnitus is a form of tinnitus in which a rhythmical sound is heard that’s usually in time with the person’s heart rate. If you have tinnitus that has persisted for over a week or you have tinnitus along with dizziness or hearing loss you should make an appointment to see your doctor. Pulsatile tinnitus can be caused by a range of factors. Your doctor and audiologist will conduct examinations to determine the cause of tinnitus. However, sometimes there’s no identifiable cause. The major causes of pulsatile tinnitus include a change in blood flow or a change in perception of that blood flow. The blood flow change can be localised (i.e. the change in blood flow is restricted to the blood vessels near the hearing system) or generalised (overall increase in blood flow throughout the body). Increased blood flow means that blood flows quicker and is therefore noisier. 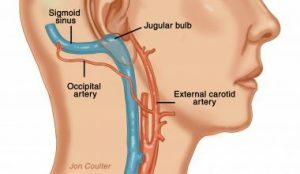 What causes increased blood flow? Generalised increased blood flow may be due to strenuous exercise, pregnancy, severe anemia, hyperthyroidism (an overactivethyroid gland) or other causes of increased blood pressure. Localised changes in blood flow can occur in the blood vessels within the ear or surrounding the ear resulting in pulsatile tinnitus. The causes of a localised change in blood flow are listed and described below. What causes an altered awareness of blood flow in or near the ear? Conductive hearing loss (click here for more information on conductive hearing loss) or heightened sensitivity may cause a change in awareness of this blood flow. An individual with conductive hearing loss may develop increased awareness of sounds inside their body since they have difficulty hearing external sounds which would usually mask internal sounds. How is pulsatile tinnitus examined? Your doctor will take a comprehensive case history by asking you questions about your tinnitus and your medical history. The doctor will use an otoscope (an instrument used to look inside the ear) to visualise the ear canal and the eardrum. A stethoscope will commonly be used around the head and neck area to listen to pulsing sounds. 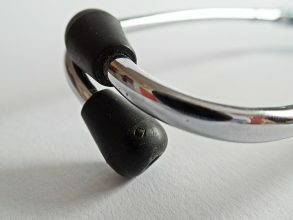 If a pulsing sound is heard with a stethoscope the tinnitus is considered objective and if no pulsing sound is heard the tinnitus is termed subjective. Medical imaging is usually carried out to locate or rule out blood vessel abnormalities. Medical imaging may include one or a combination of the following methods: magnetic resonance imaging (MRI), computerised tomography (CT), ultrasound, angiography or other forms. Hearing tests must also be conducted to determine the cause of tinnitus and to identify or rule out a hearing loss. An ozen audiologist will take your case history and will perform a hearing assessment. This hearing assessment will usually include audiometry and tympanometry. To complete an audiometry test your audiologist will give you a set of headphones and play sounds of varying pitches and loudness levels. You will be required to respond when you hear a sound by pressing a button or raising your hand. A tympanometry/acoustic immittance test involves inserting a probe into the ear that emits sounds and controls the air pressure in the outer ear. The probe then measures the sound waves that bounce back off your ear drum. These measurements help an audiologist identify a hearing loss and determine the cause of hearing loss. How can pulsatile tinnitus be treated or managed? The best treatment option will vary according to whether there’s an identifiable cause of your tinnitus and if so also according to the nature of that cause. That’s why it’s important to see an audiologist or doctor if you’re concerned about tinnitus. If your tinnitus is due to anaemia or hyperthyroidism, medication can be prescribed to manage these conditions which in turn should eliminate the tinnitus. When pulsatile tinnitus is due to high blood pressure it can be treated through medication and lifestyle changes. In the case of conductive hearing loss resulting in pulsatile tinnitus, the conductive hearing loss should be treated to treat the tinnitus. Medication or the insertion of grommets are treatment options for conductive hearing loss caused by ear infections. Other treatments for conductive hearing loss include removal of ear wax or foreign bodies from the ear, hearing aids and surgery. For tinnitus due to blood vessel abnormalities in or near the ear, surgery may be warranted, but this will depend on which blood vessel if affected. 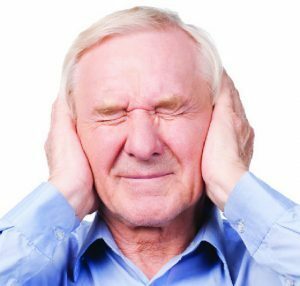 When no identifiable cause can be found a range of management options can be selected to manage the tinnitus. These are listed below. Overtime many individuals find that they habituate to tinnitus, i.e. they become used to the sounds and are no longer aware of them or the sounds don’t bother them any more. But it is still necessary to seek professional help if you’ve had tinnitus for longer than a week because it may be a sign of an underlying condition.